Piled up in a fruit market, we notice a funny looking fuzzy fruit with thick brown green skin, with the size of a lemon. When sliced open, the insides look bright in color. And we cannot wait to have a bite! Yes we are talking here about KIWI Fruit and Its Awesome Benefits. 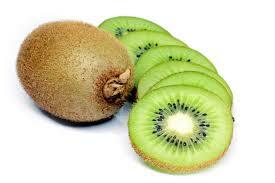 Kiwi fruit was founded in late 1990’s when it was known as the Chinese Fruit or Chinese Gooseberry. Kiwi fruit was a simple fruit often known as a simple kiwi across the globe. It was originally also called as sunny peaches. The Fruit is not grown on trees like other fruits. But these are grown on vines. No matter whether for kids or for adults, it’s one of the healthiest fruit used for consumption. It’s considered as a berry and countries like New Zealand has been growing it for more than 100 years. It’s also rich in various bioactive compounds with antioxidant capacity. These helps in protecting from free radicals and harmful by-products produced in the body. Whilst thinking of Kiwi Fruit Benefits Kids, it doesn’t amaze us that it can used to conquer some of the best prebiotic supplements of the market. This supplement contains non-digestible foods necessary for killing certain harmful bacteria in our digestive system. The good bacteria are many times weakened by using antibiotics (to treat infections) and poor eating habits. It is therefore essential to have a prebiotic supplement to maintain the good bacteria in the food and to help it grow and remain healthy. The Delightful factors of kiwi fruit helps the good bacteria in the body stay strong and healthy. The healthy bacteria keep the bad bacteria out of the kids system to avoid number of health problems. In addition to above benefits for kids, kiwi is also know to benefit adults by preventing kidney stones, promoting heart health, providing better sleep, providing younger looking wrinkle free skin, etc. Diet foods today don’t have the raw fruits and vegetables any more. However adding fruits such as kiwi fruit in our diet can help keep our body healthy for long. People are known to get their medicines through the type of food they eat. So why not add this healthy fruit in your diet and keep yourself away from range of health conditions and allergies. Eating kiwi fruit may seem to be tricky for many. Cut kiwi fruit into two halves using a knife (without peeling the skin). Tangy-sweet kiwi can also be incorporated into your diet with some awesome mouth-watering recipes. You can enjoy it by preparing fresh tropical fruit cocktail, green smoothie/juice OR as a sweet desert by adding few more ingredients such as apple, pears, honey, etc. You can also enjoy it like a summer salad topper OR as a frozen dessert snack on a sunny day. A pack of Anna and Sarah Dried Kiwi Slices is also a great way to add this fruit into your diet. Just chop it and bake the slices in your cakes or cookies to make your kids happier and healthier. You can store these dried kiwi slices in a cool dry air tight sealed container or a plastic bag to enjoy later as per your convenience. Just try it your way, and be ensured that you will be having whole lots of nutrients with it for your complete family.